New goodies in the Crafter's Companion shop this week. 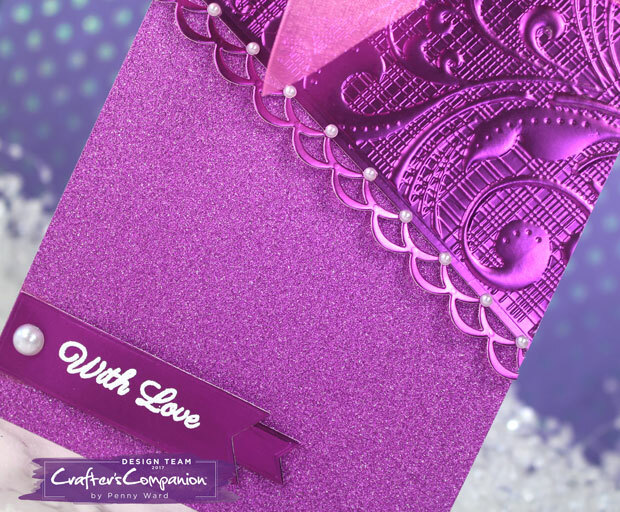 Luxury Cardstock in an array of colors. In the pack you get glitter, matte and mirror cardstocks! The Matte panel was first die cut with Die'sire Decorative Edge, then embossed with 3D Ornate Lace folder. 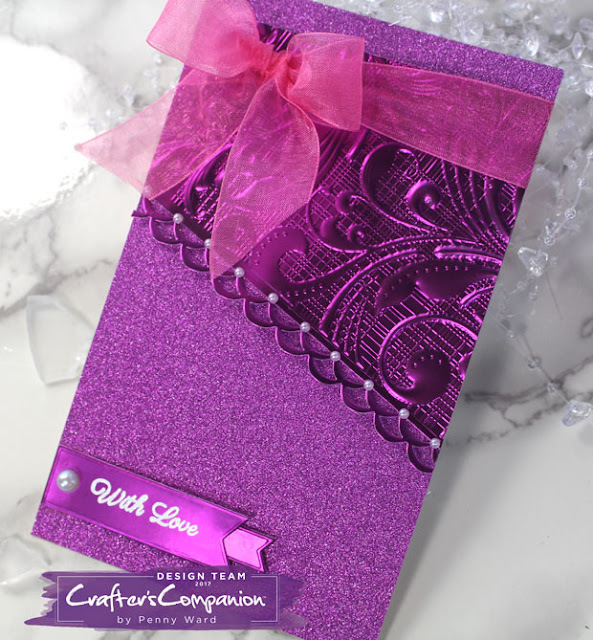 Card base is the Luxury Purple Glitter cardstock. With so many colors available, just think of all the possibilities for beautiful holiday cards!